For years, I collected my wool but did nothing with it. Then I got the bug and started making hand crafted items with my own wool. I take pride in making a quality product with the wool from my very own flock of high quality sheep. I learned how to weave shawls on a Tri Loom. Then I taught myself crochet and now crochet the occasional afghan. 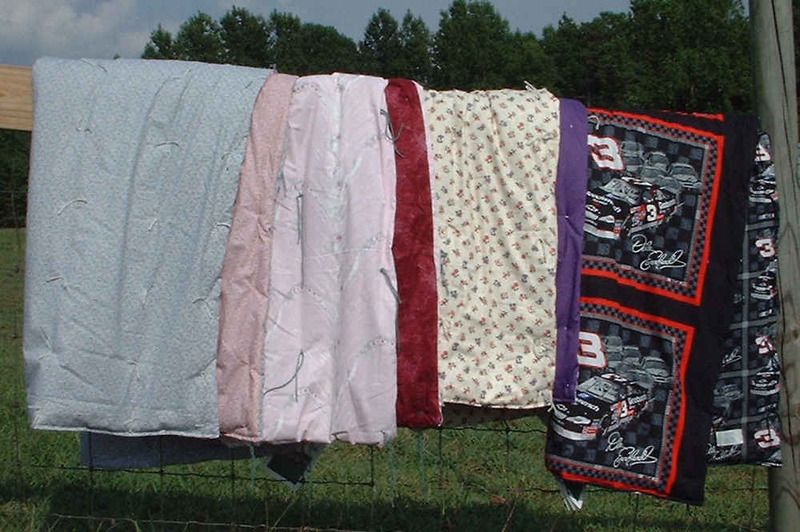 I also quilt wool filled lap throws in a variety of patterns and colors to suit the discriminating buyer. 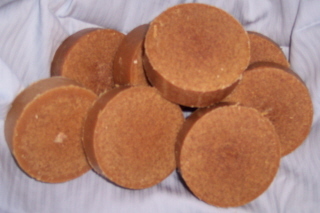 Then I decided I needed to learn yet another craft and taught myself to make some wonderful goat milk soap. Below are some samples of my work: please click on any link to see more products.